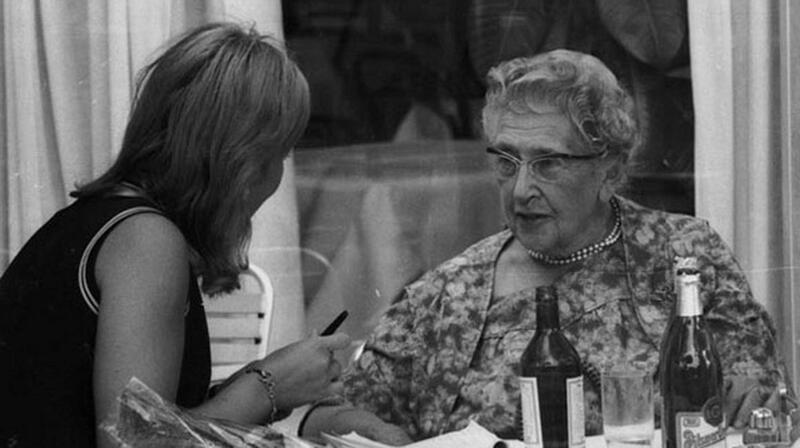 Christie made her remark in 1967, when she vacationed in Slovenia with her husband, Sir Max Mallowan. She came to Slovenia not to write, but to enjoy nature in privacy, away from the publicity that usually accompanied her back home. Unfortunately for Christie, Slovenian journalists soon got wind that she was staying in a Bohinj hotel. They staked out the area around the hotel, but couldn’t get to the writer, who had made it clear that she would not meet with the press. One of the journalists, however, proved to be more resourceful than his colleagues. Pretending to be an ordinary tourist, he checked into a room next to the vacationing couple, and simply crossed over from his balcony to theirs, holding a bouquet of flowers in his hands. Mallowan wanted to call the police, but Christie graciously offered to answer a few questions. During her visit, Christie and Mallowan drove around Slovenia. They took in the fairytale scenery of Lake Bled, where Christie reportedly noticed a man who looked just like one of her fictional murderers. Today, Christie’s hotel in Bohinj – the Bellevue – is run-down and desperately awaiting renovation, but one room is unlikely to change its appearance: Room 204, which many visitors ask to see, still has the same fittings and furniture it had when Agatha Christie slept there more than 46 years ago.